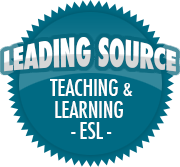 Elementary Students | So, You Think You Can Teach ESL? It’s that time of year again: school ends, students begin summer vacation, and report cards are sent out. I’m sure many teachers have spent hours upon hours over the past year keeping track of student progress, and writing behavioral or academic progress comments. Now, you may not have had to write student comments, but for those who’ve had, you know how difficult it can be to write effective and balanced comments. Sometimes it’s easy to focus on the negatives for some students, and the positives for others. BUT it’s important to be fair and balanced when writing comments. What makes a bad comment? Johnny is a good student. He works hard and completes his homework on time. He understands the content well. The above comment is too short with no actual information related to the student’s ability and skill. It gives vague statements of fact with no supporting evidence. Johnny constantly disrupts class and fails to pay attention. He is unable to work in groups or alone, and is often quite noisy. Johnny performs poorly in class and does not demonstrate a level of understanding appropriate for his age. He refuses to do his assigned homework and/or classwork. He also may physically harm or poke fun at his classmates and inhibit their learning. That comment focuses on the negative qualities of the student without providing any way to help out the student or situation at hand. Hubert is an excellent student. He completes his assigned classwork and homework on time. He also shows an appropriate level of understanding of the content. Hubert can give full-sentence answers to content questions and also use target vocabulary appropriately. Hubert also works well with his classmates as well as by himself. Hubert seems to struggle with fluency and pronunciation, but he can improve those skills by reading sentences aloud after hearing them spoken first (by a parent or teacher). He also can expand his vocabulary skills by reading novels and choosing four or five unfamiliar words from each chapter. Overall, Hubert does well and can improve with more practice over the year! The above comment may be a bit long, but it frames the student’s behavior in positive light, as well as provides ways of improving certain skills the student may need help developing. If you have any insight into writing comments you’d like to add, please share them in the comment section below!